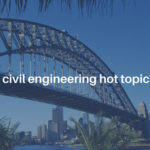 With increasingly complex projects requiring new technology, will we have enough civil engineers prepared for the challenges of tomorrow? It is essential to inspire more students to choose careers in science, technology, engineering and math (STEM) fields, pursue gender and minority equality in the workplace, and foster partnerships with diverse groups. 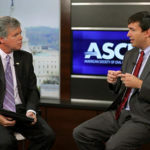 Stephen Pruitt, Ph.D., project lead for Next Generation Science Standards, says we must strive to give all students a quality STEM education, including engineering, in the 21st century. “The first step is scientific literacy for all students,” said Pruitt. This doesn’t come without some challenges Pruitt warns, “any time you have a change of this magnitude, you have people that get uncomfortable,” which is why he believes engineers need to become involved in the advocacy. One push is to include younger prospective engineers in real-life challenges that practicing engineers face every day. 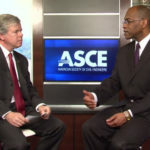 “There is a desire for students that have great technical depth and breadth in their studies and a desire for system level thinking,” said Norman Fortenberry, executive director of the American Society for Engineering Education. 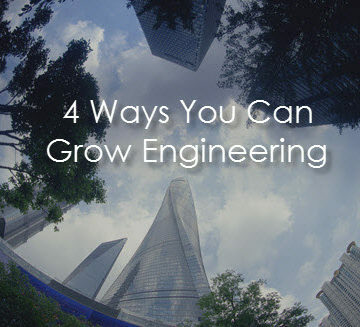 While reform in the schools could bring a greater understanding for young students interested in the field, it is up to engineers to allow prospective engineers to participate in the process. According to Romila Singh, Ph.D. and Nadya Fouad, Ph.D., 20 percent of engineering graduates are women but only 11 percent of engineers are women. Their studies have found that lots of women left engineering because they were not supported at work and their supervisors showed “incivil” behavior. Those women who stayed in engineering said they worked in environments for advancement where they could receive the proper training and development and where they felt recognized by their peers. “Once we have the mindshift taken care of that it’s not a women’s problem we can see that the policies and procedures put in place apply to everybody,” said Singh, associate professor, Lubar School of Business, University of Wisconsin-Milwaukee. Aging infrastructure isn’t the only challenge. 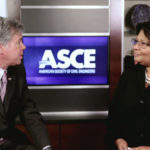 Gabriele M. Mack, vice president for business diversity at Jacobs, explained that America will also continue to face high unemployment, reduced tax base, and unfunded mandates that all contribute to economic roadblocks. To combat some of these challenges, she suggests that public and private engineering firms should diversify to include minority groups and pursue large infrastructure projects that involve a great deal of capital, which ultimately can help to create an economic engine. “Having a diverse workforce is important to relating to community needs,” said Mack.